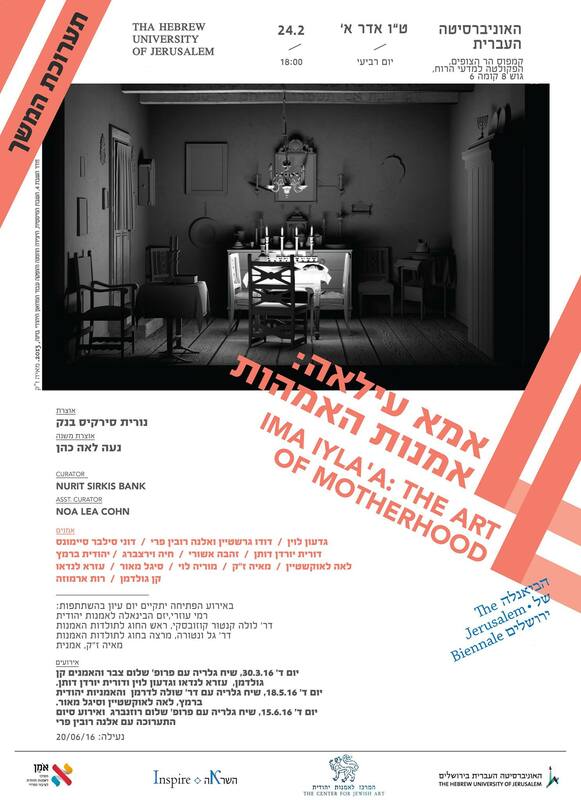 “Ima Iyla’a; The Art of Motherhood” exhibition was part of the 2nd Biennale of Contemporary Jewish Art in Jerusalem in 2015. The sequel exhibition is shown at the Hebrew University, Jerusalem. Exhibition will be on view from 24 February – 20 June 2016. Curated by Nurit Sirkis Bank and Noa Lea Cohen. Dorit Jordan Dotan, Ruth Schreiber, Ken Goldman, Joan Roth, Doni Silver Simons, Judith Margolis, Yehudis Barmatz, Ma’ayan, Gidon Levin.